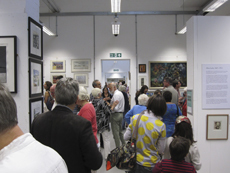 This popular corridor exhibition celebrated its 21st year. 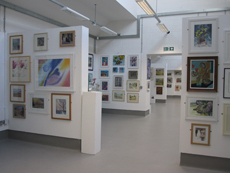 Traditionally it 'cheers up' these high traffic areas, and hospital staff, patients and visitors enjoyed the display of nearly 100 paintings, drawings and original prints. 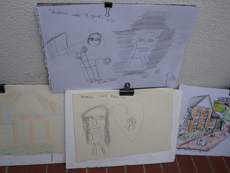 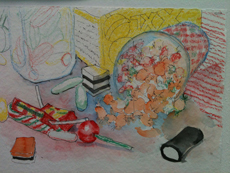 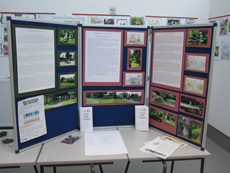 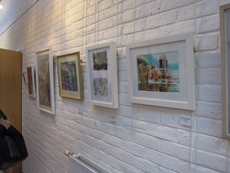 Sale of work raised £463 for the Hospital Art and Gardens Fund. 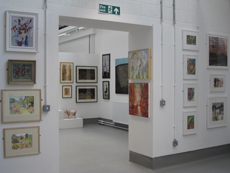 Within the tranquillity of the University of Reading London Road Campus, RGA was back exhibiting in Reading with a most exciting September Show, marking the return to where it all began over 80 years ago. 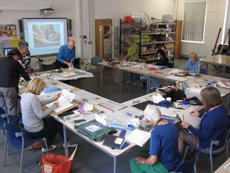 Utilising the Institute of Education Department, all aspects of the RGA's activities, past, present and future were on show, plus a varied Workshop Programme was on offer. 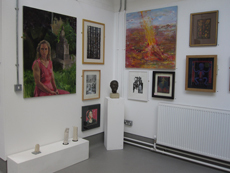 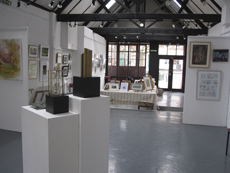 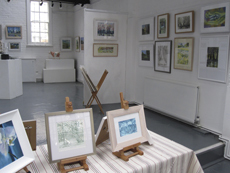 The show included a full exhibition of RGA members' work: paintings, drawings, sculpture, printmaking, textiles, ceramics and multi-media... plus examples of work produced throughout the last year at our RGA Fridays, Earley Painters and Summer Painting Days. 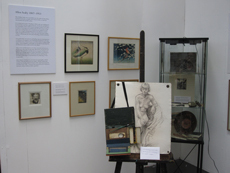 The September Show also included an RGA History, which reflected our membership today with two early members, our founder and professional artist Allen Seaby, and amateur artist Albert Cooper. 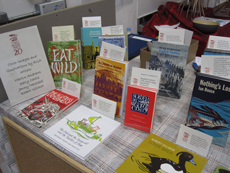 Our "gift shop" included books from the Two Rivers Press, and greeting cards and browsers meant that even those on a small budget could purchase a piece of art. 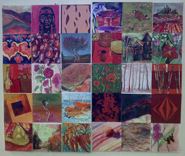 An RGA activities video presentation ran during the Exhibition and guest displays from the University’s Postgraduate Certificate in Education Students, arjeea21, the University’s Artist in Residence Petre Nikoloski occupied the second long gallery. 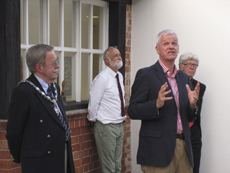 The September Show was officially opened by Vice Chancellor Sir David Bell, Wednesday 3rd September 2014, in the presence of distinguished guest Martin Akehurst the Mayor of Henley and a huge crowd of members and guests. 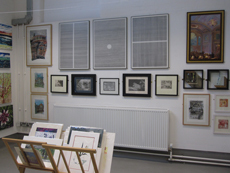 The evening began with a talk by RGA President Martin Andrews on artist and founder of the RGA Allen Seaby, before the crowds were released into the main exhibition. 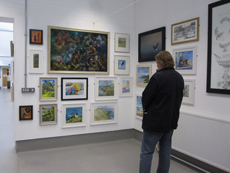 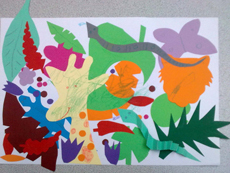 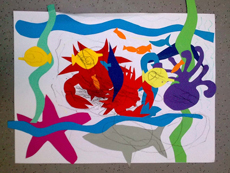 The response from members was tremendous, so much so that there were nearly 300 pieces of work hung on the walls, and over 100 unframed "browsers" for our visitors to view or peruse, with a great variety of styles. 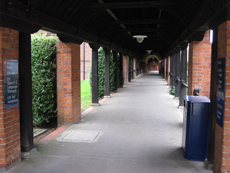 Visitor numbers were good, despite the "hard to find" University venue. 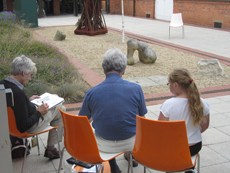 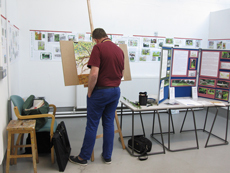 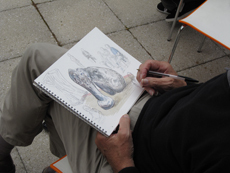 Workshops held on the site during the exhibition were well attended. 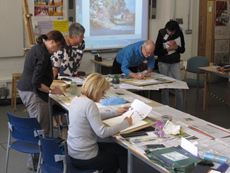 Grateful thanks to our enthusiastic workshop tutors and organisers for their hard work and commitment. 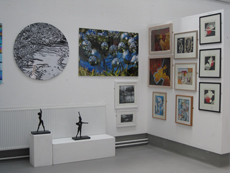 An enormous thanks to the volunteers who have, behind the scenes, done such an amazing job in planning, organising, hanging and running our previously untried but ultimately delightful September Show. 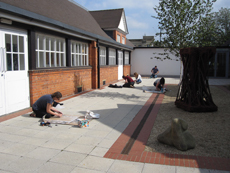 And lastly thanks also to the University for letting us utilise these beautiful buildings. 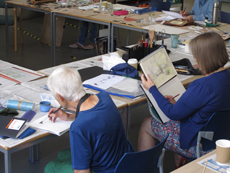 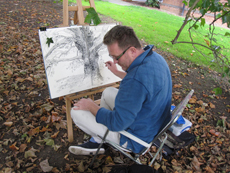 Printmaking led by Chris Mercier RCA & Bhajan Hunjan (assistant printmaker at The Slade), Life Drawing Class with Jenny Halstead, Summer Painting Day within the grounds of the venue, an illustrated talk "The Harris Garden - My year as Artist in Residence" by Jenny Halstead, Mother and Toddler Activity Sessions with Hilary Parkinson and Clare Buchta, Earley Painters "taster" session "Sweet Surprise", Watercolour session with Richard Cave, Erasemake with Kit Yan Chong, and The Big Draw, while visiting painting groups came to be inspired and work at the venue. 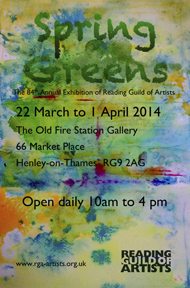 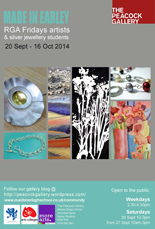 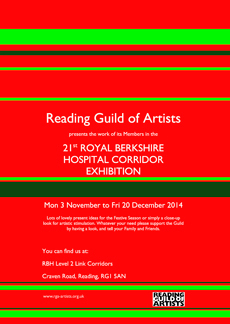 RGA 84th Annual Exhibition "Spring Greens"
Old Fire Station Gallery, 66 Market Place, Henley RG9 2AG. 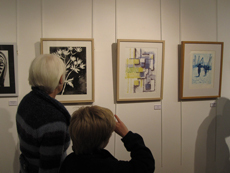 RGA 84th Annual Exhibition 'Spring Greens' was officially opened by the Mayor of Henley, Stefan Gawrysiak. 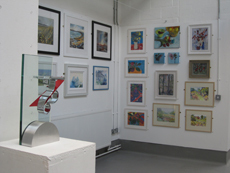 The assessor for this year's Marie Dyson Award was Dr Gill Hopper, Head of Art, University of Reading. 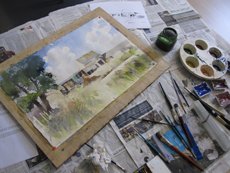 The winner was Lynda South with her oil painting The Ridgeway. 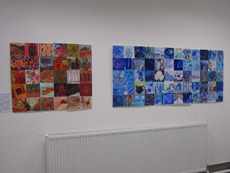 Following on from the "Blue Squares Exhibition", the Earley Painters had another small exhibition at Woodley Library during Feburary 2014 under the heading "REDS". 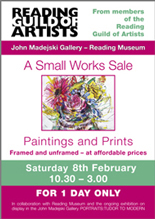 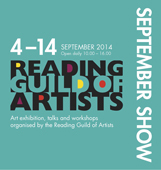 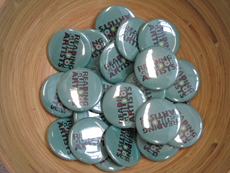 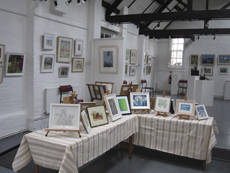 Reading Guild of Artists members held a Small Works Sale in the John Madejski Gallery showing framed and unframed work. 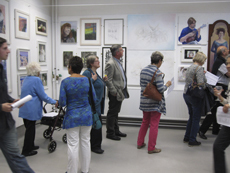 This successful event was part of a range of activities and talks organised to celebrate the current Reading Museum exhibition "Making Faces: Tudor to Modern".